Crowns help restore broken, chipped, malformed, discolored, or malpositioned teeth. Smile with confidence with your new healthy, bright, and beautiful smile. We utilize composite fillings after removing the decayed or affected portion of a tooth. Dental Implants are artificial roots and teeth that are surgically placed into the upper or lower jaw bone. The dental condition Bruxism can be treated, we help to determine the best course of treatment based on each specific case. We want to make your visit as comfortable as possible, we help you decide which level of sedation will work best for your needs. We help determine the cause and the best methods for treatment for those that suffer from Dry Mouth. Many people believe there is only one type of dentures. However, dental technology has progressed significantly. Welcome to Riverside Dental Care, your top dental provider for St George and the greater Southern Utah area. We can perform a wide range of dental services and can help you address most of your dental needs, whether you need your biannual dental cleaning or are considering cosmetic dentistry. If you are unsure if your needs fall into this category, feel free to contact us to inquire! Our dentists are happy to meet with you for a cosmetic dentistry consultation so you can know exactly what you need to achieve your perfect smile. High-Quality Dental Care – Our dentists and staff all strive to provide the highest quality of dental care possible. From your check-in at the front desk to your dental procedure, we want you to be able to say it was the best dental service you have ever received. Kindness-Focused Dentistry – Many people, from children to seniors, have apprehensions when it comes to visiting the dentist. All of our staff strives to provide compassionate service and ease any fears or concerns you may have when visiting our dental office. Patient’s Interests First – When our dentists make recommendations, they will always focus on what is in the patient’s best interests. Finances, concerns, and health are just some of the factors that our dentists sure to consider as you work with them. At Riverside Dental Care, you can be assured that your dental experience will be handled with the utmost care. 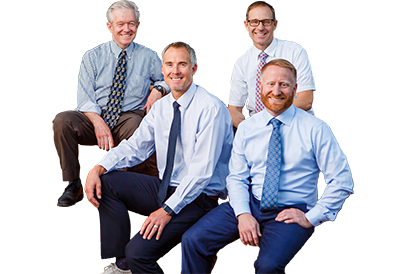 If you want to work with the foremost dentists in Southern Utah, then feel free to contact us today and set up your appointment. We look forward to seeing you!